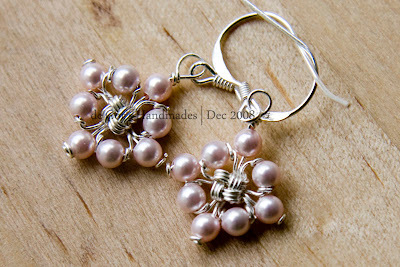 Snowflakes Earrings composed by Pink Swarovski Crystal Pearls. 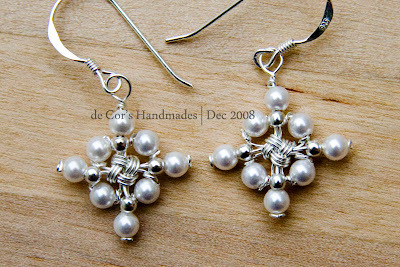 Snowflakes Earrings composed by White Swarovski Crystal Pearls. 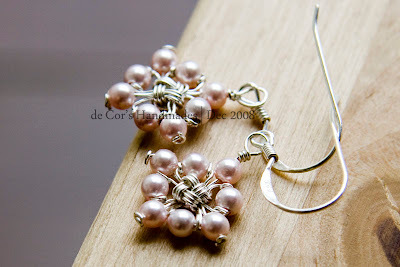 Variations from CUBICAL Earrings Tutorial. 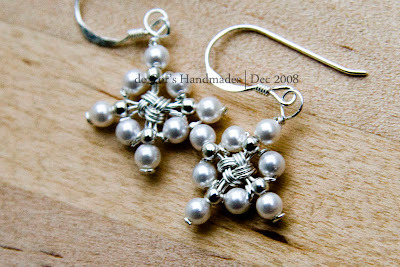 Update: SNOWFLAKES' Earrings Tutorial is now available, too. Wish you have a great week ahead! I'm loving all the variations you're coming up with!